In our guide of Malaga we provide all the information that can be useful and interesting for a visit to the city of Malaga during your holiday. 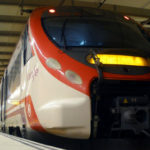 We would like to provide enough information for when you get to Malaga, you know about the places you like to visit, where you could stay, the perfect restaurant for lunch, available transportation means, among many other aspects of the city. What to see and do in Malaga? Malaga is well known as an excellent holiday destination to enjoy the nice weather, beach days and good partys during the summer. With our guide we encourage you to do alternative activities and somehow enrich your days here walking through beautiful gardens, discovering the culture that holds the past of Malaga, traditions, museums, monuments, etc. If you would like to see photos of the best places in Malaga and the Costa del Sol, just click on this link. 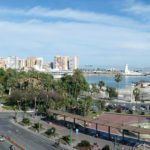 One of the factors that attract tourists to the Costa del Sol is exactly this, that there is good weather all year long. During summers temperatures rarely exceed 30 degrees and during the winter temperatures drop but not to extreme or unpleasant degrees, remaining around16 degrees on average. Nor rainfall is abundant and doesn´t exceed 45 days per year, with more than 300 days of sunshine. The Costa del Sol or the western coast of Malaga is famous for decades to have ideal locations for a relaxing holiday enjoying sun and beach days. Marbella and Puerto Banus are famous destinations known to be frequented by the jet set and celebrities. Torremolinos has a long history as an international tourist destination. During the 60s and 70s it became the trendiest place to travel and today continues to be a great choice, just as happens with Benalmadena Costa and Fuengirola. Nerja known for its stunning beaches and being a coastal town with the typical layout of streets and low houses of the Andalusian inland villages. Nor do we forget Estepona which could well be one best places to relax on vacation. 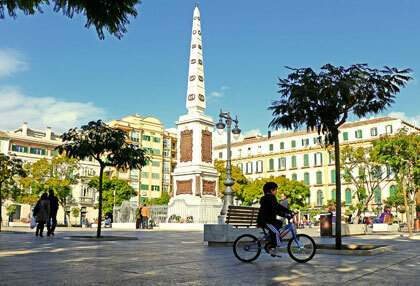 Malaga is also known for having plenty of charming towns within the territory, away from the coast. We find interesting to mention among these the municipalities of Mijas Pueblo, Ronda, Antequera, Alora, Manilva, Casares, among others. Sometimes you may need to use a local or national number from where you travel. Here we show a small list of the most important numbers you may be interested to know.